Successful bidder would have to meet Coastal Commission’s mandate in building overnight accommodation project close to the waterfront. SAN DIEGO—A stretch of land adjacent to the current Port of San Diego headquarters could soon be transformed into lower cost overnight accommodation project, according to a Request for Proposal (RFP) issued by the port district. The port district issued the RFP on Jan. 22 and formally announced it would be accepting proposals to re-develop the 3-acre site on Pacific Highway into a hostel, economy hotel/motel or other budget-friendly overnight accommodation. Bringing a low cost overnight accommodation is part of a policy advanced by the California Coastal Commission to ensure people of all economic classes would not be denied coastal access because of high cost hotels. The 3-acre site where the potential low cost overnight accommodation would be built is close to San Diego International Airport and the downtown waterfront. Other attractions in the area include Maritime Museum of San Diego, USS Midway, Harbor Island and Shelter Island. 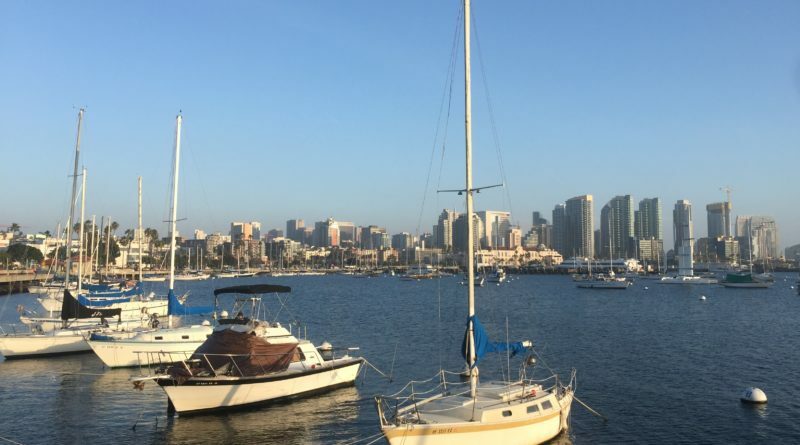 The Coastal Commission and Port of San Diego were previously at odds on the topic of low cost overnight accommodations on the San Diego waterfront. Plans to redevelop a portion of Harbor Island with hotels came under scrutiny when the quasi-judicial state agency squashed the port districts port master plan amendment request in May 2017 because it did not sufficiently meet the Coastal Commission’s requirements for low cost overnight accommodations. “Commissioners specifically stated the port district must do a better job of making Harbor Island, if redeveloped according to its vision, more accessible to lower-income Californians,” The Log wrote in its May 19, 2017 issue about the Coastal Commission-Port of San Diego war of words, which included a lawsuit between the two agencies. The Coastal Commission’s mandate of ensuring public coastal access through low cost overnight accommodations would certainly factor in to the port district’s current RFP. Time will tell whether the Coastal Commission comes on board with whatever plans the successful bidder of this RFP will propose. The Downtown San Diego, Harbor Island, Shelter Island and Point Loma waterfronts, of course, already features several hotel and motels. A stretch of Harbor Drive between Fifth Avenue Landing and Maritime Museum of San Diego is home Hilton San Diego Bayfront, Omni, Hard Rock Hotel, Marriott Grand Marquis, Manchester Grand Hyatt, Embassy Suites by Hilton and Wyndham San Diego Bayside. Harbor Island, meanwhile, has a Sheraton property. Point Loma and Shelter Island offer several overnight accommodations, as well, such as a Best Western, Courtyard by Marriott, Homewood Suites by Marriott and Holiday Inn. All the hotels listed are relatively close to San Diego’s downtown area marinas. Whether these hotels would be used as to gauge the relative low cost of the to-be-proposed overnight accommodation project on Pacific Highway remains to be seen – though such a market comparison would appear to be a necessity. An information exchange meeting for interested parties will be held at 1 p.m. on Feb. 4. Questions are due by 1 p.m. on Feb. 7; all proposals must be submitted by 1 p.m. on March 7. Interviews will be held April 2-4, with formal presentations to the port district’s Board of Port Commissioners set for May 14. A decision on which bidder would be allowed to build the overnight accommodation project would likely be made shortly after the presentation. ← When was this pier at Catalina’s Toyon Bay retired?